I think Brian Santilena did excellent work, in every way, helping us sell a home in Piedmont, and the end result was impressive. Brian promised from the start that he would act as the project manager for obtaining contractor bids on necessary repairs and staging, and he delivered on his promise. Brian knows many good contractors, gardeners, repair people, and so forth, to tap for such work. Brian also knows how to plan such work within the budget available. Our house looked great when it went on the market, and we received several offers immediately. Brian used web-based marketing, as well as more traditional newspaper features to advertise our home. I was very impressed with the quality of that work. It proved very effective. Brian also is excellent at handling or arranging the technical matters related to contracts, inspections, disclosures, offers/counter-offers, and escrow. His capable use of electronic documents, with electronic signatures, sped our process nicely. His clear explanations for everything happening allowed us to make good decisions, even when time was tight. Overall, Brian was just exactly the person we needed to prepare our house for sale and to get it sold. He was a delight to work with. He completely understood the value of the neighborhood added to our house. He knew what type of buyer would be attracted to the place, and he succeeded in getting the attention of those very buyers, and in presenting the house to them in a winning way. My experience working with Brian Santilena was very fine. I’ve been selling homes in Piedmont CA since 1998. This particular Piedmont home was in pretty bad shape when they contact me about marketing it. We needed to quite a bit of work and inspections in order to get it ready to show. If you are interested in selling your Piedmont home and you’d like to get an idea of today’s value and what my advantage marketing program can do for you, please get in touch with me directly. Thank you. Brian Santilena. Realtor & CRS with Pacific Union Real Estate Oakland-Berkeley CA. 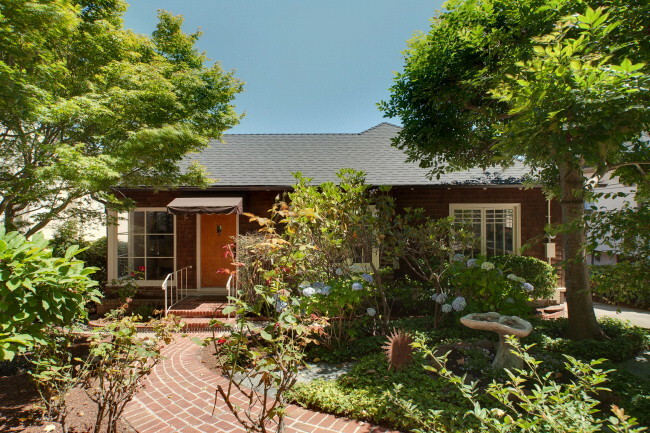 keywords: homes for sale in Piedmont CA, Piedmont CA real estate, Listing agent Piedmont CA.